Voyager 2 may have been the second of NASA’s twin exploration spacecraft but it launched first, 35 years ago today on August 20, 1977. 8 1/2 years later it became the first (and last!) spacecraft to visit the gas giant Uranus, the third largest planet in the Solar System. 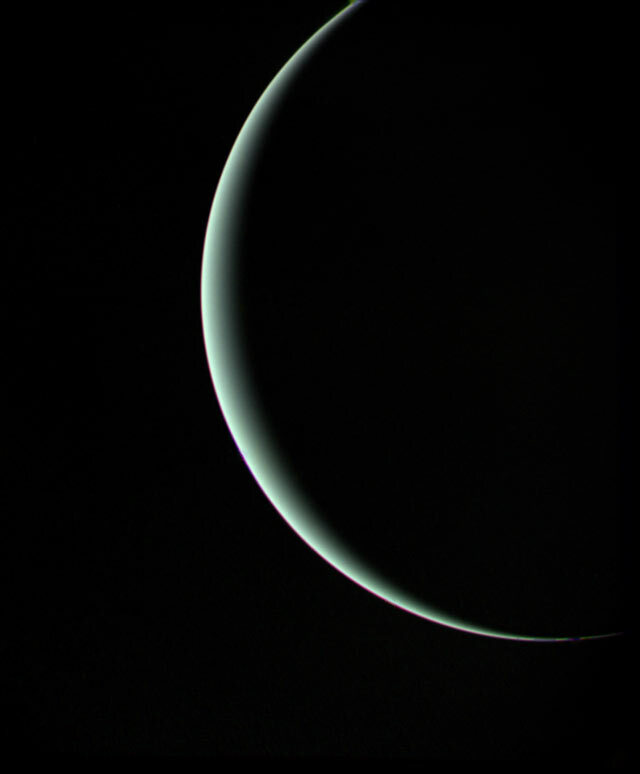 On January 24, 1986, Voyager 2 approached within 81,500 kilometers (50,600 miles) of Uranus, gathering images of the sideways planet, its rings and several of its moons, and also discovered the presence of a magnetic field as well as 10 new moons. 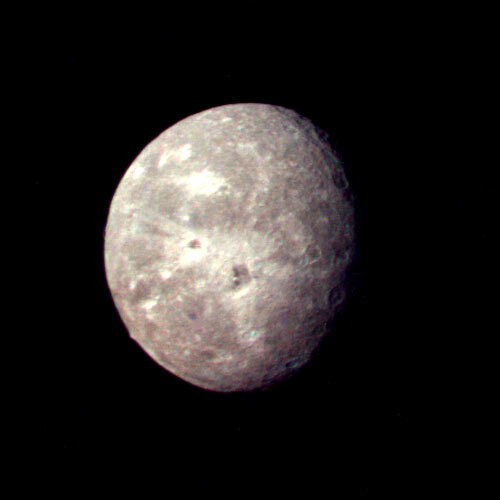 The image here shows a crescent-lit Uranus as seen by Voyager 2 on January 25, 1986, from a distance of about 600,000 miles as the spacecraft sped away toward Neptune. Composed of large amounts of hydrogen and helium, Uranus’ atmosphere absorbs most of the red wavelengths of light, and thus it appears bluish green to our eyes. See more images from Voyager 2’s visit of Uranus here:http://voyager.jpl.nasa.gov/imagesvideo/uranus.html, and check out a video of Voyager 2’s launch below along with some images from the historic mission’s “Grand Tour” of the outer Solar System. Both Voyager 1 and 2 are now headed out of the Solar System, crossing the boundary between the Sun’s solar wind and high-energy-particle-infused interstellar space. They continue to send back information on a daily basis. Yess i’s really a “Grand Tour” of the outer Solar System that space probes makes to Voyager 1 and 2. And isn’t finish yeahhhhh ! !